Freestyle Motocross (FMX) Competition: Top freestyle motocross pros will showcase high-flying flips, whips and unfathomable tricks in a double elimination head-to-head battle that will boggle the mind and cause fans to ask “are these guys even human”! 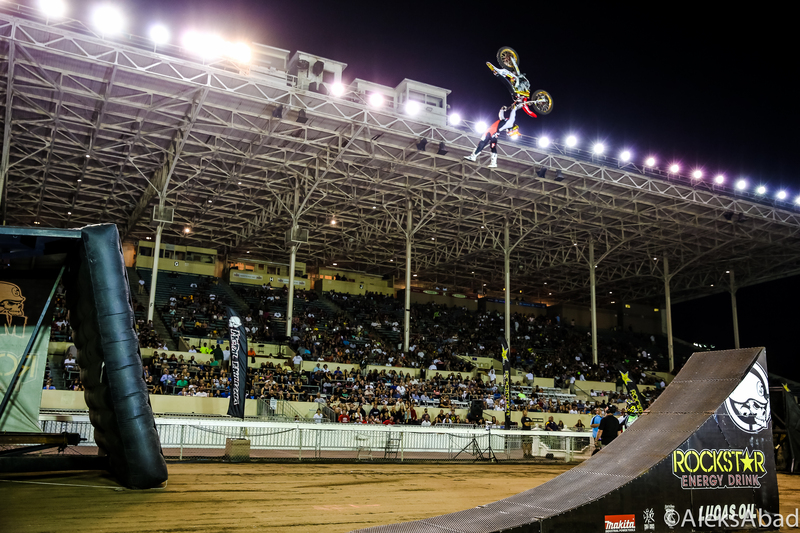 Come see 75′ back-flips and insane no-hander landers in the first pro FMX contest that Florida has hosted in 10 years! See Adam Jones, Mike Mason, Taka Higashino, Todd Potter, Nick Dunne and many more! Freestyle Quad champion Cody Elkins, who holds the Guinness World Record for the longest moving jump on a quad bike, has been added to the lineup of top-ranked athletes competing at the inaugural St. Pete Action Sports, Dec. 4 and 5 at Al Lang Stadium. He will be the first Quad Rider in history to compete directly against Freestyle Motocross pros!